Do you need some candle favours? Could be for a wedding, a birthday party, a new birth, to thank some special people, literally they could be for any occassion. 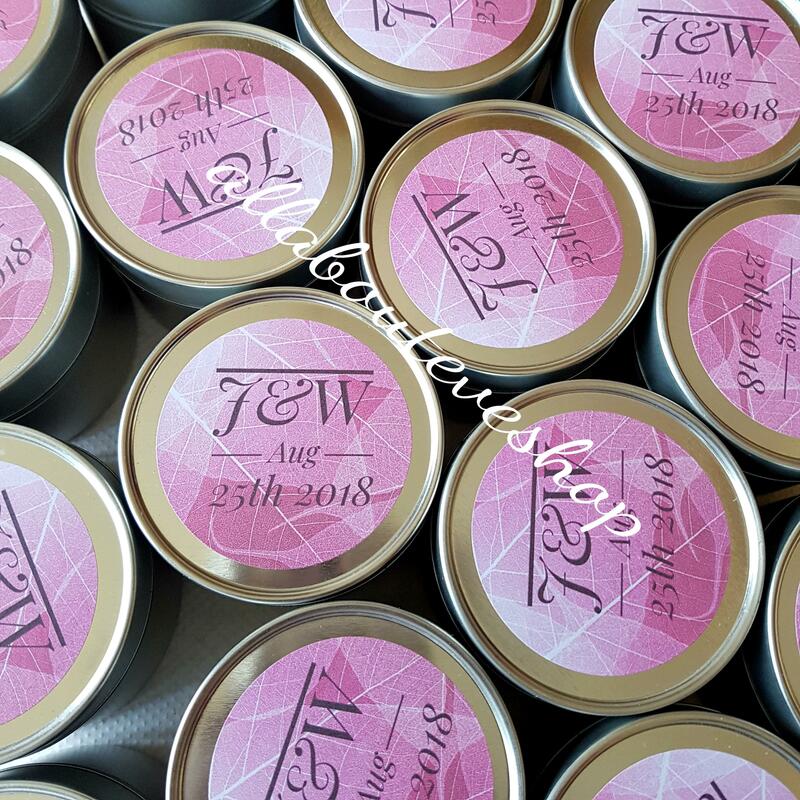 The mini candles are 3.5oz and made with soy wax, which is a natural, renewable wax. It is non-carcinogenic and burns cleanly. The candle will burn for around 24hours depending on drafts and fans. The first time you burn your candle you must let your wax pool reach the edges of the container. This is because candles have a memory and if you do this the next time you burn the candle it will burn properly and not tunnel. Tunneling is when the candle only burns down the middle and the surrounding wax stays intact. Never burn a candle near anything that can catch fire. Keep burning candles out of reach of children and pets. Always trim the wicks to 1/4 inch before each burn.